The Watermill Theatre in Bagnor near Newbury is without doubt one of the most beautifully located theatres that there is. The auditorium seats just 200 people and the fixtures of a once working mill make it utterly charming and unique. It prides itself on its in-house productions providing an eclectic mix of classic and contemporary pieces. Macbeth has been a very present work in the last year, with both the Royal Shakespeare Company and the National Theatre giving us updated productions. Traditionally, Macbeth, a brave Scottish General, is visited by a trio of witches who prophesise that he will become King of Scotland. His ambition, and that of his wife, spurs him to murder King Duncan and take the throne. A continuity of control and ruthless violence create their eventual demise as they are consumed by guilt and paranoia. Artistic Director, Paul Hart has tried to bring some original elements to this production. Sometimes it works and sometimes it falls short. The set (Katie Lias) is simple and relies heavily on lighting to create the necessary tone of the piece. Lighting Designer Tom White succeeds to an extent. Duncan’s murder is one of the most compelling moments in the production and this is largely down to the staging and lighting which create a sinister and shocking scene. It also worked very well at the close as we saw the blood falling down the wall as it fell from Malcom’s crown. However, throughout the rest of the production it was less effective and uninteresting. Billy Postlethwaite commands as Macbeth. He is every inch the rugged soldier and he compellingly takes us through the light and shade of Macbeth’s personality during the monologues and soliloquies. Lillie Flynn as Banquo is excellent although I was confused as to the relevance of the gender swapping of the character as it did not bring anything to the production. Emma McDonald as Lady Macbeth is rightly, unlikable and I felt no sympathy for the character. Her diction seemed over enunciated and the presentation felt forced. Eva Feiler as the Porter confused me and the performance was never quite humorous or creepy enough. The idea of this character as a bell hop could have been a genius one but it never reached its potential. The exclusion of the Wyrd Sisters was also a baffling choice. The Watermill has been using the musical element of their productions as an integral part of their plays for some time. I have seen it work in previous productions to great effect but with Macbeth it seemed formulaic though the choreography by Movement Director, Tom Jackson Greaves was pleasant and effective. Shakespeare works best when kept fresh and relevant and sadly this production did not quite manage it. This year British theatre has been marking the centenary of the ending of World War One by staging a number of new and revisited productions that pay homage to those involved in the terrible events between 1914 and 1918. 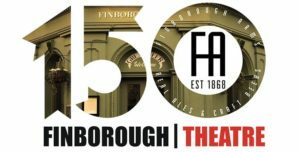 One such play, based on true events, is the final production in the Finborough Theatre’s THEGREATWAR100 series. 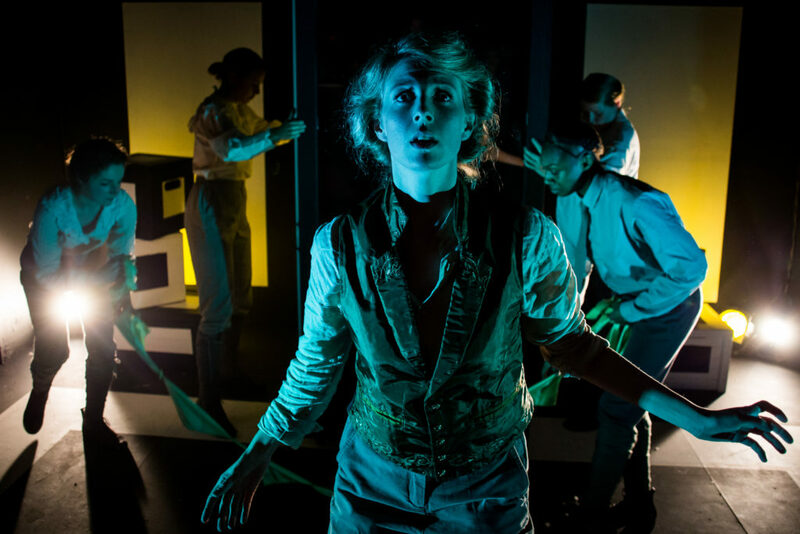 Square Rounds written by Tony Harrison and last performed almost thirty years ago at the National Theatre, is an epic exploration of the devastating effects of technology in the build up to the Great War. The play runs concurrently with the celebration of the venue’s 150th birthday. The all women play opens with a three screen projection, on an otherwise black and white set, stating ‘I will give my life for peace’ and oddly, against an overall theme of death and destruction, it is this positive statement that runs through the content of the evening. We are initially taken back to England 1915. With many men away fighting at the Front, six women in a munitions factory decide to play some of the inventors of the then modern technology warfare. We are introduced to Sweeper Mawes and the Munitionettes who in turn represent six very influential people who had both a positive and negative influence during that era. Amongst those whose story we learn more of is American inventor Hudson Maxim (Amy Marchant) who is concerned for his country and the frightening technological advances employed by America’s new European enemies. But he is also jealous of his brother Sir Hiram Maxim (Letty Thomas) who invented the horrifically destructive Maxim machine gun. Fritz Haber (Philippa Quinn) was a German Jewish chemist whose invention is still the basis used for producing nitrogen fertilisers of which approximately half of the world’s food is produced using. Sadly he is also considered the ‘father of chemical warfare’ for his pioneering work producing poisonous gases during WW1. We see an interesting interaction between him and his chemist wife Clara Immerwahr (Gracy Goldman) unhappy with her husband’s venture into developing a deadly gas. Designer Daisy Blower has created a basic, though effective set, that is complimented by thoughtful sound design (Dinah Mullen) and sympathetic lighting (Arnim Friess). Direction from Jimmy Walters keeps the action moving well though on some occasions the rhyming verse was a little too fast to take in the necessary information. 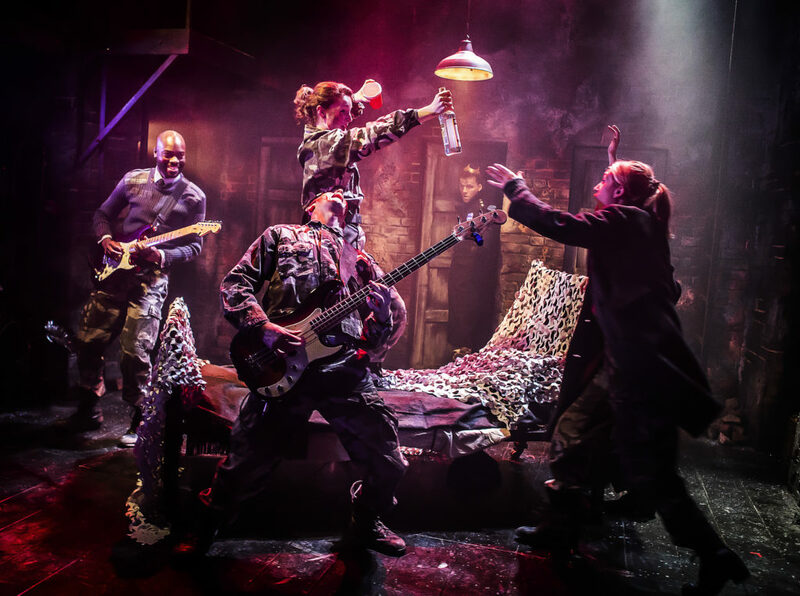 With a mix of tragedy and parody covering themes of race and ethics, this play about war and the devastating impact of chemical warfare and weapons of mass destruction has never been more timely. Sadly some one hundred years later we still hear and see horrific stories of the gassing of innocent people. Whilst I found the first half slightly difficult to follow because of the detailed historic and chemical references, the second half became much clearer and more enjoyable to watch. An interesting show and for those with a keen interest in World War One history, this is likely to be unmissable.